DETAILS: Made for you, to give to them, to use on another! 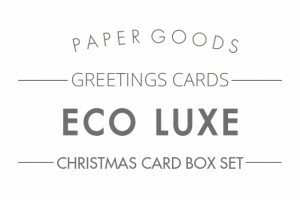 The Eco-Luxe range is named after its unique quality to re-use and recycle each part of this stylish Christmas set. 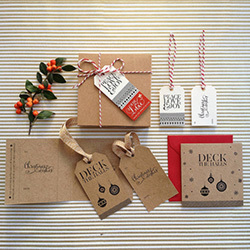 Each box contains 8 greetings cards incorporating 4 typographical and illustrative designs. 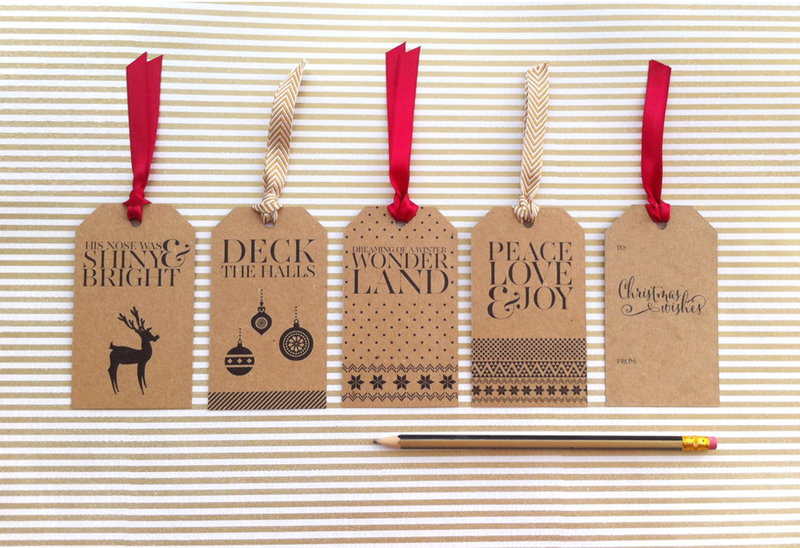 Once the cards have been sent to your friends and family, each receiver can re-use the card as a luxury Christmas gift tag by simply cutting along the dotted lines and punching out the hole shown on the inside of the card. Second to that, you get to keep the box the cards come in and by trimming the bottom of the package tag (where indicated) you have a ready-made gift tag to write on and attach to the twine provided, before re-tying and sending on with your choice of gift inside. 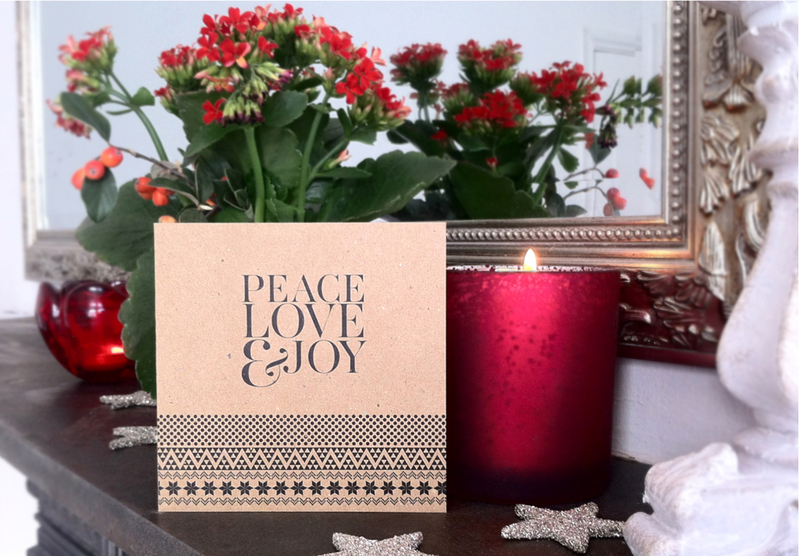 The Eco-Luxe cards are professionally printed on a luxury heavyweight 365gsm card stock that is 100% recycled and is also recyclable. 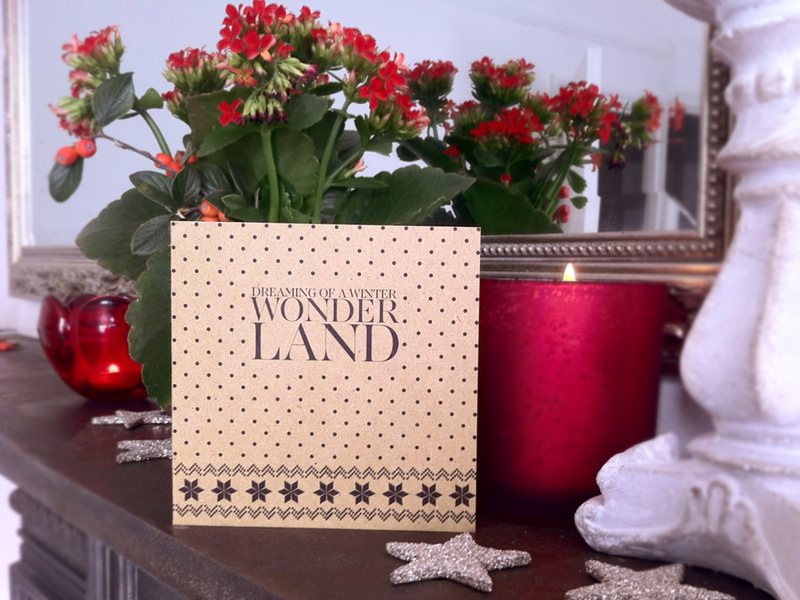 The print and board is sourced in the UK to reduce carbon footprint. 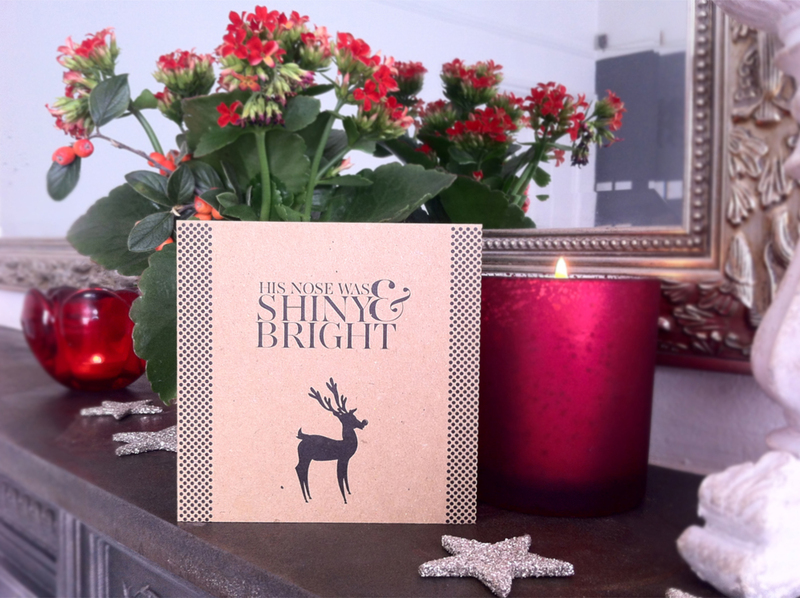 Each card measures 110mm x 110mm and comes with a scarlet red envelope. 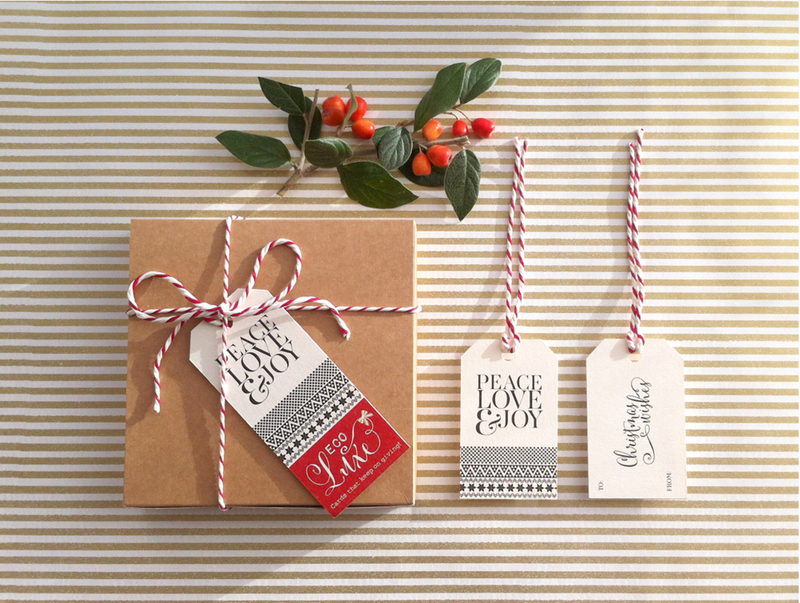 The gift box tag is printed on a white gold pearlescent paperstock. All card stock is sourced from FSC approved forests. 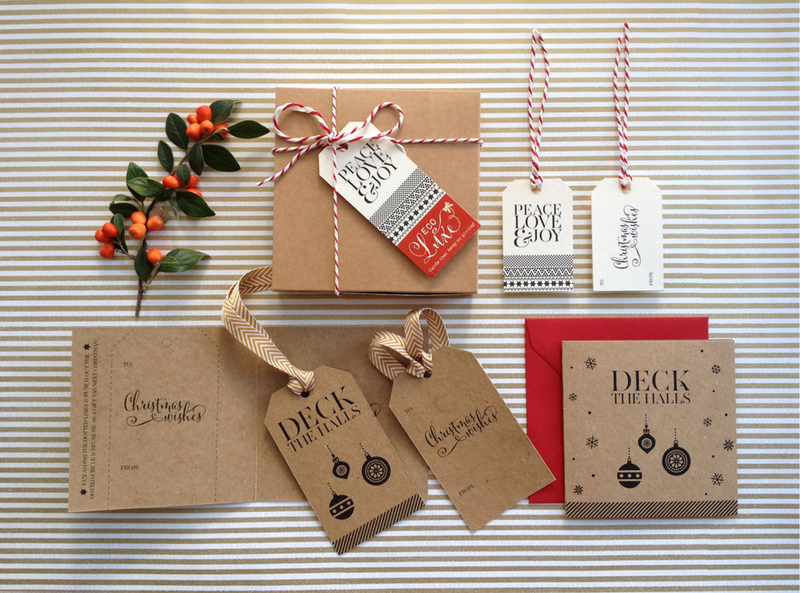 Please note, the ribbon/twine shown on the gift tags are not included in the box set – the tag ties are to be added to the gift tag by the receiver (although the gift box does come secured in the pretty twine shown).